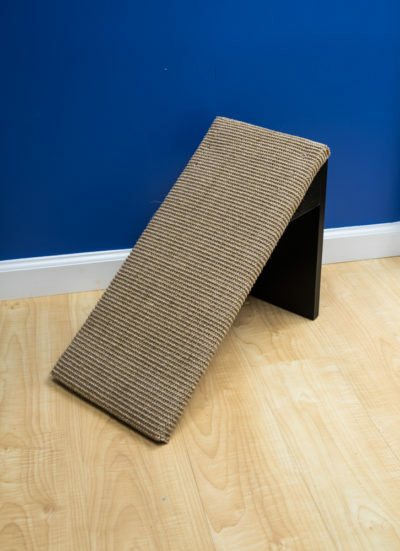 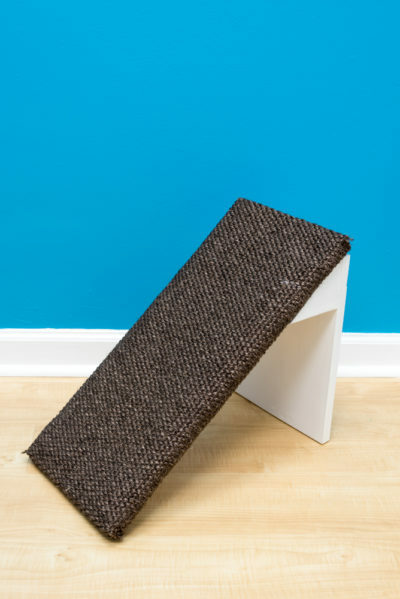 Great for seniors and handicap cats to assist getting up and down from furniture. 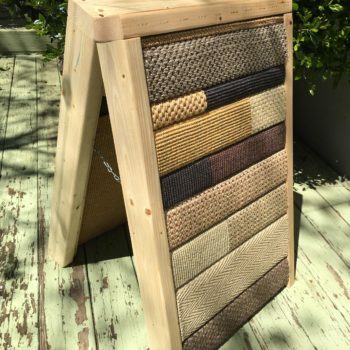 Wide variety of color selections to match the home decor. 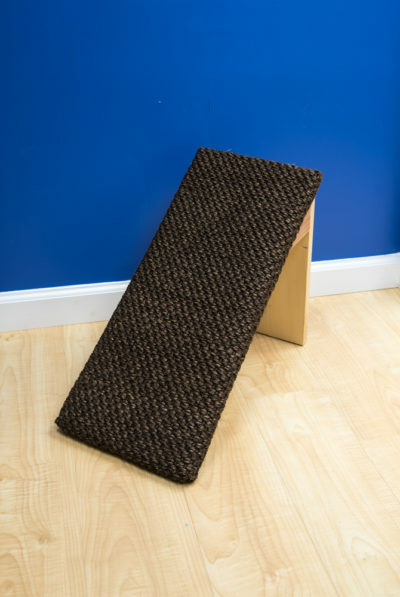 Scratch ramps can be fun or purposeful. 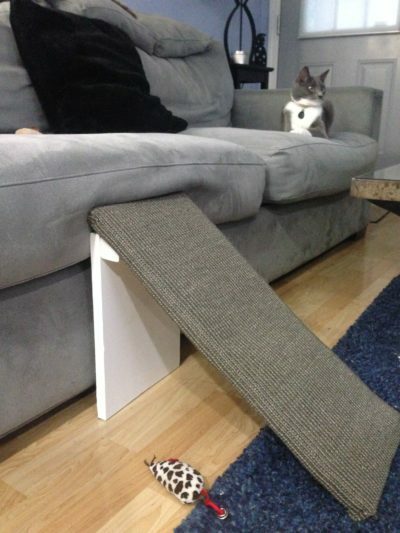 They were created due to necessity for our very own tripod kitty, Lefty. 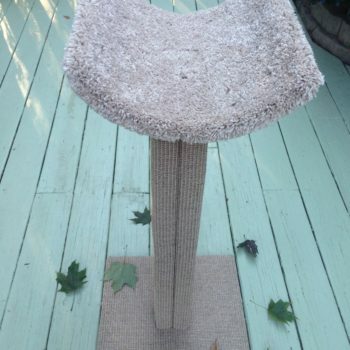 Before we knew it friends were asking for one for their senior cats. 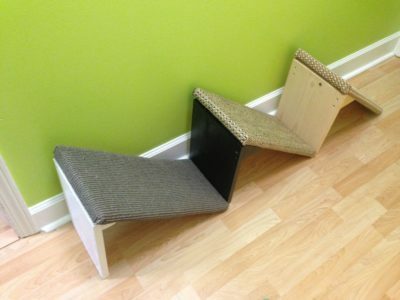 They can assist kitties with getting up and down from sofas, beds, favorite windowsill perches and the like. 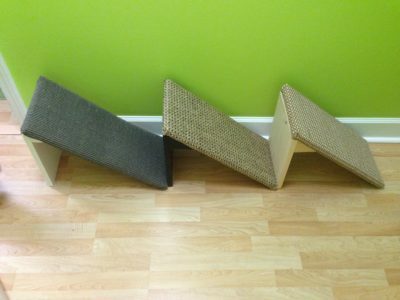 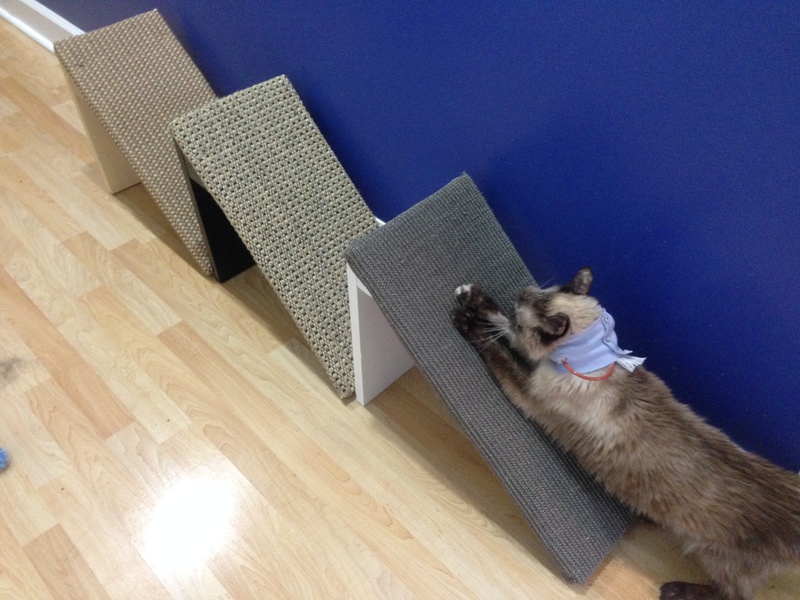 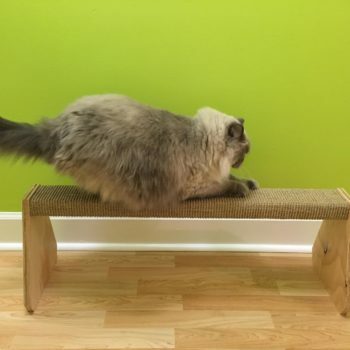 Scratch ramps can also be fun because many young healthy kitties love to scratch on an incline!